I’ve been having a bit of fun with Flight Control over the last few weeks. 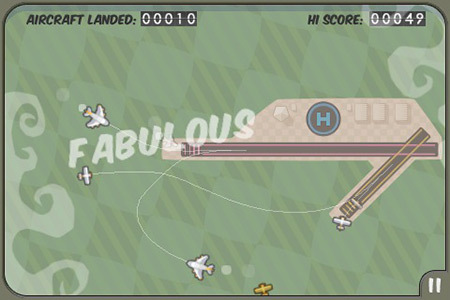 In this simple but attractive game your job is to land incoming aircraft by dragging out flight paths towards the two runways and helipad. Sounds easy enough, but once several aircraft appear onscreen it becomes increasingly difficult to avoid them crashing into each other. You are currently browsing the Reality Distortion: Macs, Mac OS X, and Apple stuff weblog archives for May, 2009.